This is not my intended blog. I had far greater expectations other than what I’m penning today. However, I feel the Lord is taking me in a different direction, and the blog I meant to post for today can wait until next month. Forgive me, if you think me preachy. Then, one of the other leadership members came under physical attack also then another. Reality hit hard. I knew I couldn't quit. It was at that point that I taped an Excel spreadsheet to my wall in my office that listed our ACFW Indiana chapter members. I taped it there so I would remember to pray daily for their needs. The ingredient that most of us as writers put into our manuscripts is prayer. Our major goal is not to entertain although that has to be a huge component of what we do. We want to be instruments to spread the gospel with intricately woven messages that will draw the unbeliever to Christ and also to affirm the Christian in his or her walk. Please remember to pray for your fellow Hoosier authors. Forgive my boldness, but I’m not asking you to only breathe a prayer (as we all do - nothing wrong with that) or grab God by the shirtsleeve as you’re running the hectic race (better to pray than not). I’m asking those of you who believe that Jesus is the healer (Jehovah Rapha) to put the writer’s pen down, focus in prayer in whatever way works for you, and battle for the physical well being of those we love in Indiana. I almost quit before I started, but now I know why I didn’t. Really, Why Do We Write? Rick already posted on this topic as well, but this is more of a general take. Donald Maass asked this question a few years back in one of his classes and said that he'd not found a satisfactory answer. I've been mulling over it ever since then. The Edmund Hillary approach would be: well, because the words are there. But is that really it? The question is really "what is the source of inspiration for ALL artists?" For me, the simple and straightforward answer is the Spirit of God...I think for non-believers though, the answer may be harder to comprehend. It seems to me that a major reason humans are inspired to create is that we were ourselves created. Sort of a round-about way of saying that God made us and intended that we would not only procreate but also create - goods, clothes, tools, homes, boats, paintings and stories. Unfortunately, we've also created our own gods, too. You get the point. God thought the Testimony so important that He inscribed the precious words Himself. And when Moses broke the first set, God kindly inscribed a second set as well. And does Scripture ever say that only the Ten Commandments were inscribed on the tablets? They were covered front and back per Exodus 32:15, and if you've ever seen an ancient potsherd or scroll, they could get an enormous amount of words in very small spaces! God clearly values the written word. Words are indeed powerful, even in fiction. I never really thought "Christian fiction" was anything more than entertainment until I was doing the hair of another teenaged girl in my daughter's show choir. I was only half-listening to the general babble and banter until she told another girl to read Francine Rivers' books. Then she said, "I always supported abortion until I read Redeeming Love." Okay, I got the point then. And my our words always do just that. I recently read an article about the importance of having a platform and branding to attract a publisher and sell books. It had a lot of good things to say but this topic has always left me with a big question mark. I'm a fiction writer. I'm more of a jack-of-all trades than an expert at any one thing. This applies more to nonfiction authors, right? Someone who writes a book about finances has a built-in platform of financial expertise and can travel the country teaching people valuable lessons about managing money. But fiction authors write about all sorts of topics/themes and may not be an expert at any of them. In my first novel, Snow Angel, the theme is the classic redemption story of God's love. Duchess and the Dragon is finding your own faith and growing in that, Wind Dancer - spiritual warfare, Love's First Light - forgiveness and my latest book, Angel's Den, domestic violence. While writing and researching these books I learned a lot, but I don't feel qualified to get behind a microphone and claim to be an expert at any of these themes. (Never mind that pesky fear of public speaking). When it comes to branding myself and platforms I've always felt clueless. What am I an expert at? What knowledge or ability do I have that other people would like to learn? It's at this point that many authors become writing coaches. I think this is great, and I try to help out aspiring authors as much as I can, but I don't think "teaching" is my gift. I function too much on gut instinct and don't know how to convey that as a teacher. What, if anything, do all my books have in common? Romance and history. I could build a platform around historical research and target history lovers. I've seen some pretty impressive websites that dive into world of the Regency period or have a Jane Austen look and feel but my books are set in different locations and time periods which would mean a separate website for each book. Not very practical and that narrows my playing field to history lovers. I've noticed that people either love history or couldn't care less. Okay, what about romance? Love? Hook-ups? Hmmm. Now there is a huge topic and I am a big fan. When I look at the kinds of books/movies/TV shows I read and watch, I definitely find a lot of romance. And if I ask myself what my dream career would be second to writing, I think I would say matchmaker - that would be seriously fun! 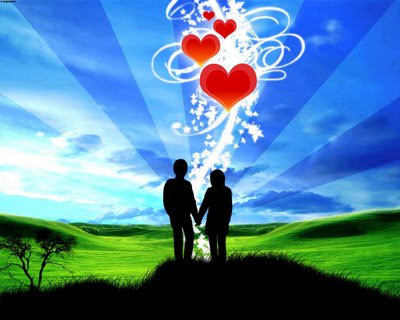 I love it when two people fall in love. Do I have a passion for romance and helping people find their mate? Yes! Yes, I do! In asking myself a few questions, I have discovered a possible platform that I am really excited about. I'm not sure what it will look like yet, but my immediate response to articles on branding has gone from shoulder shrugging to an eagerness to start writing blog entries about finding love. That's a start and who knows where it might go from there? Sometimes we box ourselves in because we lack the faith and vision that God sees for us. In this area of finding my platform, that is exactly what I have been doing. How about you? Are there any areas in your writing career that you've felt clueless about? Do you think fiction authors need a platform, branding, taglines, etc? I'm excited to hear your thoughts! There are many Christian writers who have succeeded to reach a wide audience with weaving Biblical scripture and ideals throughout their wholesome novels. There are also many Christian writers who have successfully written mainstream novels from a Christian perspective, yet not so prominent in voicing spiritual issues. The Lion—Be the Lion Writer who writes boldly and fiercely, not afraid of any obstacles (or adverbs) that comes in your path, but passionately keeping your eyes on the prize. The prize as being somebody in this world who is positively influenced by your writing and becomes a better person because of it. The Witch—Don’t be devoured by the Witch, Satan, who wants you to think your writing isn’t good enough, Christian enough, or in vogue enough for one single person to read. Have enough faith to march on as a warrior for Christ and accomplish his mission for you while you’re on this earth. The Wardrobe—Your writing is the Wardrobe, use guidance from God as your template for creating a beautiful Wardrobe. Anyone that reads your writing will have their own opinion of how your Wardrobe fits them. As long as you write with guidance from God (easily found through constant prayer), it will fit perfect on every reader. Some may think the Wardrobe you created fits horrible, but in God’s timing, it will fit them like comfy sweatpants after a big meal. It’s January, which means it’s time to make new resolutions. Here’s mine: I’m going to get physical. That’s right. I’m going to get physical with my writing because according to Natalie Goldberg, writers have good figures and I want one! Natalie Goldberg’s book, Writing Down the Bones, was recommended years ago by a writing buddy and it’s been my friend ever since. It’s one of those books I keep close by so I can reach for it when my writing tastes like stale bread. I smell its’ pages, pick a chapter (they’re all short) and focus on the lesson of that chapter. Reading this book has never failed to plunge my soul deeper into the minds of my characters so I feel, hear, smell and see their thoughts. I’ve heard many writing teachers recommend to get the story down first without stopping and then go back to edit the entire piece, bit by bit. Now I get it. If I stop every few sentences to add a comma, admire a phrase or add an action verb how can I stay focused on telling the story? Those interruptions will slow down the flow and diminish the energy which in turn will make my readers, well, I won’t have any readers. This isn’t easy for me. I’m one of the worst offenders. I stop all the time to reread my work and chop, chop, chop before the story is finished. Heck, I cheat in my work out routine, too. I stop before the pain, fudge my repetitions and drool over the bag of chips in the pantry. But this year my goal is to let my writing energy flow without interruptions and hopefully I won’t feel the pain in making my daily quota and, when I succeed, I’m going to taste those chips in the pantry. I believe her. I’m working toward that good figure right now. I’m headed for the hills swaying in rhythm to Jim Brickman’s song, “Devotion.” As I plod along to another world my fingers aren’t going to stop until I get there. So, the next time you see me, will you compliment me on my good writing figure? Will Your Readers Read On... or Put Down Your Book? I belong to a book club that meets monthly to discuss selected fiction and non-fiction books. The members are terrific Christian gals who are voracious readers. We often pick Christian non-fiction books to read and discuss, but seldom Christian fiction. Why? I haven’t taken a poll, but I’ve kept my ears open for answers. Here are the two biggies I’ve discovered. First and foremost we want a captivating story. We want to be swept off our feet and fall in love with what’s happening on the pages. Do we always find this in the secular books we choose? No. We’ve ended up with some doozies and have fondly prioritized our fiction goofs by “the books we hate most.” So why not give Christian fiction a chance? Most of us would raise our hands to answer, “Because they’re soooo predictable.” Ouch. The sad truth is, predictability ruins a good story. Secondly, we adore a good theme. We love it when the whole story is a subtle, well-written presentation of a whop-‘em-upside-the-head truth. (And, yes, we rip the book to shreds if the theme doesn’t present Truth with a capital T.) We’ve read a few Christian novels that accomplished this, and, believe me, we danced in the aisles—er, living room—when this happened. So, again, why reject Christian fiction? Because it’s preachy. Nothing subtle, no way! The Truth is right out there, under glaring spotlights—and in case you missed it, the author presents it a second time around for good measure. C’mon, admit it—what fun is that for the reader? Writing a good Christian novel presents a terrific challenge—one that secular authors don’t have to face. As Christians we know God is sovereign, and that “all things work together for good to those who love God.” Halleluiah and praise the Lord for that! But, um, it does make the outcome of our protag’s story-problem a bit predictable, yes? And as Christians we pray a lot, we take our problems to God, we read our Bibles, we belong to churches whose pastors preach the Truth, we share the gospel with the lost. But if our protag lives this God-centered life (or is fighting it), these Christian elements can come across as, well, preachy. So what are we Christian authors to do? There are a lot of answers, actually. Your audience will make a difference—maybe your readers want all those Christian elements. Certainly genre makes a difference—a mystery or suspense novel handles the challenge one way, a romance, another. How you craft your characters makes a difference. And of course there are many crafty things (as in skills) one can learn to do to avoid predictability and preachiness. You might say my book club is fussy, and I wonder how well read the members are in the CBA market. But the point remains—predictability and preachiness are inherent problems that need to be addressed in Christian fiction. I’ve come up with some answers for my writing. How about you? Finally! After years of pitching for fiction contracts, I finally caught one. Barbour Publishing surprised me last September at the ACFW conference with a dream come true. 1) If you're contracted to write a funny book over five months, this does not guarantee you 150 funny days in which to write it. 2) When your children/grandchildren only see your face on a milk carton, it's time to come out of the writing cave. 3) Water your plants at least once before deadline. 4) Don't neglect your e-mail. Agents and editors use it. Plus, you really might have won a million dollars from a sweepstakes clearinghouse in Libya. 5) Naps make your characters nicer. Not their naps. Yours. 6) Recognize you are not the only writer experiencing a bad day. Flannery O'Connor once wrote, "Writing a novel is a terrible experience, during which the hair often falls out and the teeth decay." If you retain 50 percent or more of your hair and teeth after your first contract, consider yourself successful. 7) If, during your last bank withdrawal, you asked the ATM to be your Facebook friend, you probably need to re-vamp your social life. 8) If your church dedicates a stained glass window in your memory, you probably should show up more. 9) Remember that good critique partners are like compassionate dentists. They often function as gifts of God in disguise. 10) If your refrigerator cries, "Unclean, unclean!" when you open it, you should do a little housework. Plus, you're definitely overdue for some sleep. 11) If your protagonist is kissing her beloved more than you are yours, revise your writing--and kissing--schedules. Why should our characters have all the fun? 12) And if they're praying more than you are, ditto, ditto, double ditto. 13) Finally, use the word "ditto" a lot in your manuscript. It makes you sound smart and adds to a skinny work count. Some might refute such suggestions because they sound a little random, a little garbled and, frankly, unbalanced. To which I reply: those facing a deadline with ten days to go and counting will suffer such temporary insanity. May all of us be blessed with it again and again. We all know how important first impressions can be. Like when we’re going to be meeting prospective clients or future employers. Maybe you’re having dinner with the family of your fiancé or special someone. The fact is, at some point in our life we all have people we want to impress. If you’re a writer, that someone is probably an editor or agent. As a first reader for a large publishing house I notice a lot of trivial mistakes new writers make. Things they might have caught if they’d spent a few hours proofing their work. Now don’t get me wrong, there comes a point you have to turn it loose. It’s as big a problem to never send your work off for fear that it’s not perfect. (Preaching to myself here.) It’s just sad to me when a writer has misspelled or forgotten words all throughout a story. Maybe a name or two has changed since the beginning of the book. Perhaps the heroine’s eyes were blue on page 7 but on page 183, the hero gazes into her luscious chocolate eyes. Little details matter. No, they don’t trump the story. If the story is awesome or you’re a proven multi-published author, who cares if you left out a couple commas and misspelled a half dozen words, but what if your story is pretty good, but the reader or editor sees you as a novice? Someone that needs a little time to grow as a writer. Maybe if that story was so clean it shined the editor might give you a chance to tweak the story and resubmit. It happens. So here are a few tips you’ve probably heard before, but might not have taken the time to implement. 1. Have someone other than your close friends or family read the book before submission. Don’t be too shy to share it with them. Uh…what if it’s published? You do know people will read it, right? Remember, you don’t need people who will stroke your ego. Also, don’t be too sensitive. Constructive criticism is meant to help you grow as a writer. 2. Keep track of character details. Names, ages, hair & eye color, etc…Those things are easy to let slip through the cracks, but they’re very important. Someone will find the inconsistencies. Let it be you. 3. Learn and implement a consistent Point of View. That’s one of the things acquisition readers are taught to look for when reading manuscripts. I always note whether or not writers understand and are consistent with their POV. 4. Finally, know the line you are submitting to. Do not just cast your bread on the water and hope somebody will bite. I recently read a manuscript that was so wrong for the line it was submitted for I had to wonder if it was sent by mistake. I almost didn’t even finish it because it was so wrong for the line. Basically, think of your submission as an interview and try to present the best work you can! Now that I’ve made you all second guess your submissions, are any of you in the process of submitting or waiting to hear from an editor? Let’s hear about it? And remember to let us know if you have any good news!!! John Kremer says don't write a book unless you're committed to three years of marketing. Of course, this doesn't apply if you are J.K. Rowling. Marketing is a vast subject, so avail yourself to resources. I've found Kremer's 1001 Ways to Market Your Book helpful. Tom and Marilyn Ross' book, The Complete Guide to Self Publishing, has great marketing content. A Novel Idea, a book I purchased at Conference has a great section on Networking and Marketing. Marketing boils down to promotion and distribution. They can happen together, but authors must get the 'word' out about their books and must make sure their product is available. The first question an author should ask is "Who will buy my book?" You need an answer or you need to do research. Marketing in its lowest common denominator is about creating relationships, which means making friends. Friends tell friends about books they have liked. This powerful tool is called viral marketing and is one of your best approaches. Visibility is still critical for your book; however, you must make it happen. Your nation-wide marketing plan is all about visibility. Many publishers, definitely the small press ones and even others as well, want the author to have a national marketing plan. Of course, you make a splash locally, but one does run out of friends and family. That said, it's still good to make a big splash in a little pond. Work your home front for all it's worth. Nation wide, things like reviews and endorsements, blog/tv/radio interviews, press releases, personal web sites and blogs, media kits, book tours or signings and speaking engagements become important. A lot of buzz can be created on your social network sites, your blog and website. If arrangements with your publisher are permissible, always carry copies of your book with you for when opportunities present. Keep a special bag filled with your book in your car. Pack some in your suitcase when traveling. Plan on dispensing promotional copies. Ask your publisher for as many as possible. Negotiate this if you can. You may generally buy from your publisher at a discount rate. One authority says liberally 'giving away' your book to friends and family lessens its value. Not an easy call here. Maybe 'liberal' is the key word. The first six months are your prime times to market. A new book is still a new book for six months. Your book will continue to sell after six months, but maybe slower. Some have a passion for marketing; some hate it, but writing your best possible novel is only the first step. Then, there's more work, but it's worth the effort. Seize not only the day, but seize the buyer too with your marketing pizazz! This has been my experience in marketing my nonfiction book. Tell us what has worked for you. I recently read Nicholas Sparks' novel Message in a Bottle and it led me to research real cases of messages found in bottles. I discoverd the story of Chunosuke Matsuyama, a Japanese sailor, shipwrecked with forty-four shipmates in 1784. Washed up on a Pacific coral reef, Matsuyama carved a brief message on a piece of wood and sealed it in a bottle. All forty-five sailors died on that shore, but Matsuyama's message survived. Legend follows that the bottle washed ashore in 1935 in the same village where Matsuyama was born. Matsuyama never returned home, but his words did. Quote Scripture in the body of your work or as chapter headings. Christians expect to see it there and non-believers will read over it even if they think they aren't absorbing it. This can be a mini-lesson on how the truth of scripture plays out in everyday life. Make your character the messenger in a variety of ways. Have characters refer to or use Scripture in dialogue. The seeker or new believer in your novel can refer to Scripture by asking questions of mature believers. Christian characters can offer advice by using Scripture. Don't feel obligated to put the reference. You can sneak it in there--kind of like I sneak cauliflower into my kids' mashed potatoes. Another way I've noticed authors getting the message into the book is through an on-fire Christian who spouts Scripture in an almost "in-your-face" way. Gilbert Morris often includes a character who repeatedly asks other characters "Do you know Jesus?" While the method in real life might be lacking, this tactic exposes your reader to Scripture in a humorous and non-threatening way. Let the preacher do the talking. One more way to let the character be the messenger is through scenes involving a church service or sermon. A struggling Christian or non-believer reading your book may be experiencing the same questions as your character. Observing a character dissect and internalize a message speaks to our spirits as well. As Christian writers, we wield a mighty weapon in the form of the very words of our God. Isn't it amazing that He would trust our fiction to reveal His truth? What are some other ways you use scripture to get across the message God has given you? I started working in a local factory this week. There are steps, pass-ways and aisles everywhere. They are marked out to keep pedestrians out of the way of forklifts and create safe paths from one part of the work area to another. The products also follow a path, conveyor belts made of metal rollers, from one end of the assembly line to the other. They begin as parts in crates and come out the other end as something useful. Paths and lines also help show which products are being tested and which are ready to ship. Whoever laid out the factory plans and designed the assembly line ordered the paths. The way I should go does not always take the most direct route. For instance, there's a conveyor belt between my work area and the stairway to the testing room. So I have to go the long way around. My younger and more agile co-workers sometimes climb over the conveyor belts. I know I can't, but I'm tempted to risk an embarrassing fall to get somewhere more directly. As the Lord has ordered our lives, I'm sure He has steps and paths in mind for our writing. Looking back we can often see where taking a step in one direction led to a fruitful connection. The challenge for me is to trust that the Lord delights in my way and will keep me from falling, even when I believe the steps in my writing career are taking me the long way around. Has it ever occurred to you that Satan just doesn’t like you? It’s a personal thing really—mostly a conflict of interest. As a Christian writer, your mission is diametrically opposed to his work. His success depends on your failure, and he’s committed to thwart your progress in any way possible. I’m sure you’re familiar with his favorite strategy, time robbing. Long gone are those lazy days when you actually looked for something to do. Since picking up your pen for Jesus, you’re suddenly busier than you’ve ever been in your life. And then there are those time when you try to grab a few minutes of writing time and friends or family drop in for a visit. I’m not suggesting they’re partnering with Satan, but the timing certainly makes them suspect. You could pull the blinds and ignore the doorbell, but that won’t stop Satan. He’ll work inside your household and infect your immediate family with the high-maintenance syndrome. It isn’t enough to work all day, cook dinner, and wash laundry, but now a family emergency requires your personal attention. They know you’ll attend to their crisis, because you’re the human version of the Swiss Army Knife, or in scriptural terms all things to all men. (And you always wondered what Jesus meant when he said, a man's foes shall be they of his own household Matt 10:36). Yet, forfeiting your writing time is not an option, and you deflect Satan’s obstacles until you sit in front of the computer determined to get some words—any words on that screen. That’s when he zaps you the fear factor. What if your writing is awful? What if no one understands your voice? Egads! What if you’re perpetually rejected by every publisher in the business? You’ve been here before, and in spite of those nasty voices in your head, you find F and J on the keypad and press buttons until your character’s voices take over and you slip into the writing zone. Satan is defeated once again. No angelic choir sings at your victory; yet, you’re at peace knowing you’ve written something for Jesus. It’s ironic that Satan uses fear to hinder your writing, when truthfully he’s the one who’s afraid of you. The possibility of your success has him worried. Yes, he understands your potential even when you don’t, and he knows your writing will be the tipping point for someone at the crossroads. And while he fears your writing and goes to great lengths to discourage you, you continue to believe in the possibilities of your ministry, and that alone keeps you writing one more day. Because it’s a sad day in life when you realize it wasn’t an accident, or time, or fortune, but only yourself that kept things from you. His mother was a widow by the time he was born. His dad was killed shortly after she became pregnant, and she and her sister raised Aleksandr in meager circumstances. Aleksandr's father had been in the Imperial Army, so she kept that fact a secret for reasons of safety. She also did something not looked upon with favor--she raised him in her faith of Russian Orthodoxy. She was educated and she encouraged his literary leanings. We all have someone encouraging at some point on our road to literary life. Who was your encourager? Anyway, he was sent to hard labor in the Gulag because of something he wrote. He paid for that writing with harsh imprisonment, but he never stopped "writing" even though he didn't have ideal conditions in which to write (it stayed in his head at this point.) When he was finally released, he had to write in the dark of the night, and bury his writing each and every day. I love to read and I have put off my own writing at times to read a writer's writing or to help him in his writing. Now I am struck that my own time to write is growing shorter and it is time for me to unbury my writing to send out. My advice today is to keep writing, even if you're scared. Think of Solzhenitsyn and be brave by writing in the dark of night, even if it looks as if you will never publish or that the only persons to read it will be your critique partners and that first reader. Have hope. And encourage someone else in his or her writing, too. You are out of the Gulag so the time has come. Join me in the revolution! The first step to freedom is to write it. Who can you encourage in her/his writing today? And who are your encouragers? I don't know about you, but I never want to stay in one place as a writer. I'm always reading a book on craft. Right now I'm going through Michael Hauge's The Hero's 2 Journeys again. It is probably the single most career changing lesson I've ever seen. It's a DVD/CD and has really opened my eyes to what makes a great story. I love learning new things and pushing myself to improve. The first time I think I've "arrived" as an author is the time I need to quit. 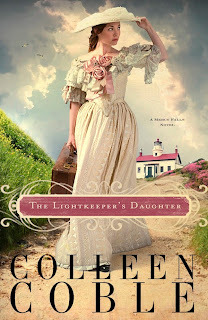 So it was fun for me to stretch into something new and different with The Lightkeeper's Daughter. I started out writing historicals. My first 4 novels were short historicals for Barbour that were set in the 1860s, but my real love is to write romantic mysteries. Several years ago, I asked my editor Ami McConnell what she thought about me writing a historical romantic mystery. The idea didn't grab her at the time, but last year she brought it up and told me to go for it. By then the idea scared me. LOL I had a growing readership and had settled quite comfortably into my niche. But I took a deep breath and plunged in. To my shock, I loved going back to the historicals. That's where I learned about the importance of setting and how to weave it into the story. It's where I learned to love research. I found I could write my trademark story, but just change the time period as part of the setting. The experience confirmed my love of learning something new too. So what about you? Have you found your brand, your niche, or are you still finding your way? What have you been wanting to try that you've been scared to attempt? The first step might be sharing it here. Then take a deep breath and plunge in! According to my mother, I have an incurable disease called printer's ink in my veins instead of blood. I am a third- generation writer. My grandfather, William Edward Cope wrote for some of the Hearst publications in the 1920s, even working as a correspondent in Ireland during the Irish Rebellion. Mother proofread for the Anderson Herald (Indiana) and wrote an occasional column. So I guess I came by it naturally. I finished college at Ball State University when my children were teens, graduating with a double departmental major in English and journalism. Since then, I have written for a number of central Indiana newspapers. I believe my desire to write Christian fiction didn't come naturally, but supernaturally with a calling from the Lord to write books that will show readers the Way, the Truth, and the Life. It is my hope that my edgy fiction will reach individuals and churches with the message of redemption. Because of some serious problems in my own life and in the life of my children, I want to emphasize the need for the church to remember that no one's sin is any greater than that of anyone else and no one's sin is beyond redemption. It's ours for the asking. Worthy to Write Christian Fiction? Isn’t that what our fiction is all about? Proclaiming through story that the grace of Jesus Christ is the only true answer for all the broken characters in this fallen world? I have no doubt that I have the experience to tell that story! What about you? Because I'm a lawyer, writers sometimes ask me, "How do I copyright my material?" My answer? "Get it out of your head and onto paper or a computer drive." Because the minute you put it in tangible form, it is copyrighted. "But don't I have to register it with the government or something?" You can. But no, you don't have to. There are advantages to registering, but they are too complex to talk about in a blog post. It can also be time-consuming and expensive, especially if you register multiple copyrights. Including a copyright notice (using either © or the word "copyright," the year, and your name) is enough to keep most people from "borrowing" your material. That's because they don't realize material is copyrighted unless they see a notice. If you are worried that someone will steal your idea, registering won't help, anyway. You can't copyright ideas. If you are worried that someone will steal the words you use to express your idea, then registering can help you prove they are your words. But unless you are J.K. Rowling or J.D. Salinger, your words aren't likely to be a prime target for theft. Of course, your book may become the best seller of the century. And when it gets published, you should register it. In fact, the publisher will probably do it for you. In the meantime, you have to weigh the time and money against the likelihood that someone will steal your material. And only you can decide whether it's worth it. For more information on copyrights, go to U.S. Copyright Office. I was going to end there until I read Rick Barry's great post on Thursday. Rick reminded us that we write to glorify God rather than for riches or acclaim. I agree with every word in his post, but it brought back memories of a debate I once engaged in on a Christian writers' forum. The debate began when someone claimed that writing for God is inconsistent with receiving credit or making a profit from it. The right to receive credit and compensation, as well as the right to control publication and distribution, flows from the copyright laws. So is it against God's will for Christians to claim their copy rights? No. In Luke 10:7, Jesus told his disciples that they deserved to be paid for their work. Paul made the same point in 1 Corinthians 9:3-12. God does not begrudge us the rights the law provides. Paul chose not to exercise his rights, and if you want to let others copy your works without paying for them, you can. But without the copyright, you would have no control at all. As Christians who write to glorify God, we are worthy of our wages or, to put it in other words, of our copyrights. What we do with them is our choice. P.S. My monthly posts will mostly discuss legal issues of special interest to writers. Please leave comments on the topics you want me to cover. Seriously speaking, we all know that many of the “letdowns” of life itself—never mind writing!—come from factors we really can’t control. But if we do our best, let God take care of the rest, and praise Him for all of it, we’ll help counteract those bumps in the road and bless those around us. Right? Some of us just smile at this: we know Martha, and we know she tends to go a wee bit (!) overboard in her exuberance. But what about newbies among us who don’t know Martha—or even not-so-newbies with a few setbacks—and who find themselves wondering if being a truly Godly writer means your stories will automatically “write themselves,” sell themselves, and bless people? Can you see where this is headed? Yep. And it’s not pretty. We as Christian writers tend to be very conscientious about our behaviors, language, and subject matter, lest we cause a brother or sister to stumble. But I would submit that we need to do the same due diligence on our words of praise—our “jargon,” if you will—so that we don’t inadvertently throw a “block” in front of someone by making a successful writing life look too easy, too perfect, or too pat. We don’t need to be cheerleaders in front of the pack, flaunting dazzling smiles or perfect cartwheels; nor do we need to err in the other extreme and denigrate our own efforts toward our success. But there is a happy medium; it’s called humility, honesty…and truthful encouragement. That, we can all do—no matter how dizzyingly successful, or even maddeningly average (! ), our writing lives are at this point. The wonderful adventure of writing historical novels began for me, the real-life Abbie of my stories, at the beginning of this millennium – thanks to early retirement and a library memoir writing group. Until then, I had never completed a story in writing, though I told many during the decades I was a busy homemaker and educator. Those were the years I lived overseas or in Kansas – and instead of stories, wrote thousands of pages of college lectures, academic documents, press releases, feature articles, and oh-so many letters, emails and novel notes. To my amazement, my memoir stories written for the library group led to novels that are like heirloom story-quilts. Inspired by my family’s extraordinary lives in China, these story-quilts are pieced together with fictional borders. Though in truth, even the borders differ little from real life – they’re just rearranged or borrowed from someone else’s experience. Some of the pieces in the story-quilts come from the journals and memoirs of my Sweden-born Nelson missionary grandparents who traveled up and down the Great Long Yangtze River during the late 1800s and early 1900s. Since I was born in Xian and raised in China by parents who were also missionaries, some pieces are from my own memory, such as my family’s traumatic escape from the Communists in 1950 down the Yangtze accompanied by numerous sadly swirling bodies. Other colorful pieces come from family letters and manuscripts – both published and unpublished. One of these is my mother’s devoted portrayal of an extraordinary missionary woman. Lovingly known as Mother Ruth, this woman gave up a life of nobility in Sweden and used her inheritance to serve God beside her husband in China, where their only children were buried – one from disease and the other brutally martyred by rioting rebels, along with my father's fifteen year-old sister and others. The stories I’ve quilted together come from a century of memories of my Anglo-American family who lived and traveled in China. Like my son who smuggled Bibles into China in the 1990s, we thought of ourselves as adventurers for God, although the Chinese often called us “foreign devils.” Occasionally, however, we received the honor of being called “white Chinese” or bai-zhong-ren, which was especially true of my father. Fashioning a trilogy of heirloom story-quilt novels has been personally rewarding (and challenging) beyond all my expectations! As I continue to examine my family’s records and mementos long stored in our China boxes, I am deeply touched by the meaningful pattern in story that emerges from the memories – memories daring, tragic, and joyous. But most importantly, my family’s stories affirm the blessings of faith in God through Jesus Christ – a faith available to every person, in every country, of every millennium! NOTE: You can also view my books on Amazon.com. So far, I'm happily self-published. However, I'm searching for a traditional publisher, and am delighted to be represented by Diana Flegal of Hartline Literary Agency. Or, more specifically, “Why do I write?” Perhaps that question seems simple, but the yearning to write can be one of those motivations that even the author doesn’t fully grasp. Some tale-spinners weave fictional plots for the sheer satisfaction of captivating a reader and leading her, line by line, into an adventure that lasts far past bedtime. Other authors are in the writing game for the money. And even though it’s no secret that most writers don’t strike it rich, it’s also no secret that some do. So, like gold miners hoping to find the mother lode, they sit at their computers and plug away. For yet other authors, fame might be a lure. They’ve imagined how thrilling it would be see their byline on an article, a devotional, a short story, or possibly even the Holy Grail of Publishing—a complete series of novels. On the trail of that fame, they press on. But before we totally lose the afterglow of the recent Christmas season, I suggest that we Christian writers at Hoosier Ink reconsider the magi one final time. They arrived bearing gifts for Christ. Their gold, frankincense, and myrrh were precious. Each wise man could have kept his gift for himself or to impress others. Instead, they humbly offered their treasures to the King of kings. If you’re a successful author, then you have a gift too—the skill of word-smithing. You can hammer letters and words into a form that never existed before, into a creation that makes others sit up and take notice. This is your gift from our Creator. Rather than use that talent to pursue self-satisfaction, or riches, or acclaim, why not dedicate that gift to the Lord? One of my own most crucial writing projects was for an audience of one—a young Christian woman who had fallen deeply into sin. Using every ounce of persuasion that I could express in a letter, I pleaded for this girl to open her eyes, to realize how far down the wrong road sin was leading her, and I begged her to repent and to get right with God again. Praise the Lord, she read, she pondered, and ultimately repented. Praise God for the power of the pen! One published short story or a novel that sells “only” 5,000 copies can touch more hearts and minds that most pulpits do in a whole year. Why should a Christian author write? For me, the bottom line is simple: to glorify God and to point souls toward Him. I’m very excited to blog for Hoosier Ink. I love Indiana and I love writing. I love those odd and wonderful creatures called fellow writers and I love to encourage. Most of all, I love our mutual Father God. What a privilege to stir together all these delightful ingredients to form what I hope is a delectable and nourishing devotional tidbit. In Daniel 3:18, Shadrach, Meshach, and Abendego gave up their lives rather than worship something other than the One True God. Heat from the furnace radiated in waves and killed the guards who threw them in the fire. How did they find courage to endure for God? Scripture hints that a myriad of tests preceded that fiery furnace. Our Intrepid Three had been ripped from their homeland after their families were murdered. They were neutered and forced to serve those very conquerors. They had daily choices to make about how they felt, forgave, trusted, and obeyed. We do, too. The writing life consists of myriad decisions. As Christian authors we may be in the fires of contention over writing priorities, in competition for publication, or in confrontation with jealousy, pride, or laziness. Yet, God provides ways of escape before, during, or after each trial. For instance, God saved Shadrach, Meshach, and Abendego after they were in the fire. They counted him faithful while walking in the flames. Do we? Or perhaps we start with an I-can-do-it attitude but by evening, sometimes by breakfast, like Charlie Brown, we moan, “I’m a loser, I failed again.” Is it that we want to be successful without effort or discomfort? Do we hope to be a giant of faith without the proving ground of battle? No one succeeds by proxy. No one succeeds alone. God was the fourth man in that furnace and he is faithfully with us, too. He is able to save us out of the fire of our publication problems and the confusion of career choices. Of all the decisions this day, week, month, year, make this one top priority: Be it known we will not serve gods of popularity or position, nor worship the golden image of publication and best seller lists. We will worship God alone. I’d sure like to know what writing decisions concern you in 2010. What godly choices can help you overcome these hurdles? Have you had a writing related trial-by-fire? How did God sustain or provide for you? Looking for Great Christian Fiction? I am honored to open Hoosier Ink. My thanks to Lisa Harman, ACFW Indiana president 2009, for birthing the idea and creating a platform for you to get to know Hoosier writers, published and unpublished. One resounding phrase that I’ve heard from many writers is, “God has called me to write.” Isn’t that amazing that the God of Heaven and earth should choose us to be fictional storytellers in order that his gospel message will get out? Even so, many of us are tempted to feel that will never happen through us. Sure, we all want to be published and those who are published want to be published again. Yes, he has planted the story in our hearts, but nothing is happening. If God’s in it, shouldn’t something be happening? How can I put all this work, all these years into an effort that’s going nowhere? How can I shake all this doubt? How many of the divinely inspired writers of the Old and New Testaments must have felt the same way we sometimes do? Many of them were told to write things down and never did find out why. In fact, they were positive that God told them to write it. They left this earth never knowing if they really heard from God or not. However, we know differently as they have served to introduce millions to him. The Lord has searched you and he knows you. He is a good God and wants good for you. Trust that he knows the better path to travel in. Settle it in your heart that the story you have within you will someday bring souls to him. Welcome to Hoosier Ink. We will be launching this new blog on January 4th, 2010.